The University of California’s IPM Guidelines list 37 fungicide products available for controlling diseases in peach orchards. Major flower, foliar and fruit diseases of peach include peach leaf curl, shot hole, brown rot, powdery mildew and rust. The key is to select the best fungicide product with the broadest spectrum of activity against these pathogens and time the application at a critical stage. Source: Orchard Notes. January 2014. Pgs. 2-4. 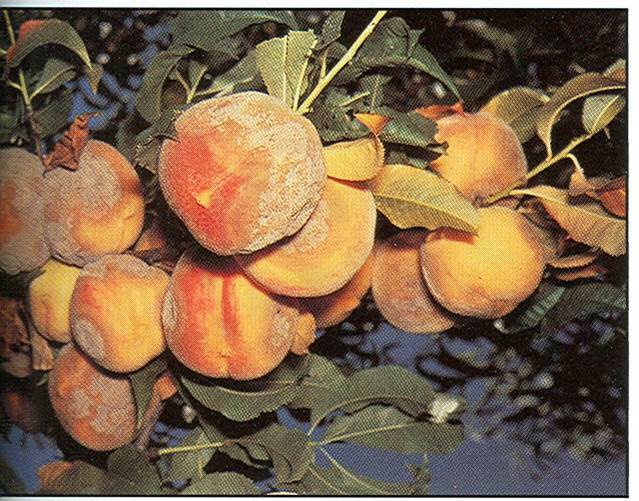 This entry was posted in Fungicides and tagged Brown Rot, diseases, fungicides, peach orchards, peaches, powdery mildew, rust, University of California by pesticide guy. Bookmark the permalink.